-You have prepared, rehearsed and used every spare moment to try and memorise a complex script. -You have used every ounce of your limited ability to try and imbue it with some feeling and subtlety. -You have performed; your adrenaline has surged and then fallen repeatedly. -You have luxuriated in a feeling of ‘well done’ and agonised unnecessarily when you have felt things have not gone so well. -You have worked with a group of people over weeks & sometimes seen them more than your family. And then it has finished….. But this is part of life- you don’t appreciate the highs unless you hit the lows. Overall, I had a fantastic time: another of my ‘fifty things for 50 years’ attempted, tackled something way above me, got fantastic support from a group of people and enjoyed myself so much. Plus I am left with a feeling of intellectual challenge: I understood yet didn’t understand a richly complex play. One of the ‘fifty things for 50 years’ (a list of around 50 things that I wanted to do in the year before and the year after 50- the key thing is that they had to cost nothing/very little. Any fool can spend money on an experience and call it ‘lifechanging) I wanted to have a go at was acting. 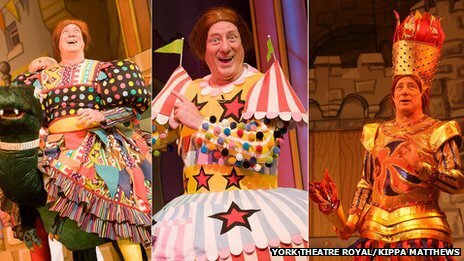 For the last 6 years I have done the village pantomime; specialising in comedy transvestites. This time I wanted to have a bash at something ‘above’ me: something complex. A friend said that I was ‘courageous and adventurous’: I am not- just stupid and beginning to think that my 50s are a chance to try new things and maybe fail in the process. So I auditioned and got into the above play. It is complex and I’m not sure if I’ve got it (or remember and deliver lines with enough conviction), but I am enjoying the process. Of course the acid test is performing it in front of an audience. That happens tonight, tomorrow and Saturday at the village hall at 7.30. Tickets still available. About a year ago, I made a list of ’50 things for 50 years’. The idea was to attempt them in the year before and the year after I was 50. I haven’t got very far: doing the 1st one on the list- ‘changing job’, took more energy than I thought and occupied most of last year. I have just got to what I reckon is number 5 on the list: to act in something that is not a pantomime. I came late to amateur dramatics: although strictly speaking, Pantomime is not acting- it is just being loud and over exaggerated. I have become typecast as a comedy transvestite and people are very tolerant of my attempts in such a role. I like it as well; phrasing and script knowledge are not essential- attempting to act would stretch me too far. And yet: there is something to be said for trying to go beyond your comfort zone in order to grow. 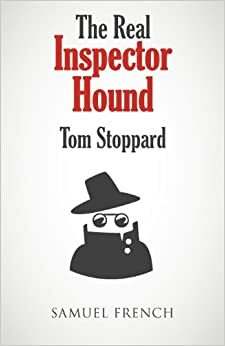 So I auditioned for a role in a Tom Stoppard play and got a major role. Now I actually have to learn to act and remember lines: I am enjoying the attempt. It is a tough challenge and it could all go horribly wrong. But it will be fun finding out. April 21-23: you heard it first here…. I have been fortunate living here to have opportunities to do just that- to be around in villages as a rev, but always trying to make space to be around people whose first call is not church. Apart from being addicted to the stage, that was one of my motivations for Panto- being around people who don’t do ‘church’ and having no office or safety to cling onto. And I learned loads and I heard loads and I was challenged loads. But you know what? I absolutely loved it. Tonight: last gathering of the cast as we watch the video of the performance: I have never seen the whole performance before. That will be cringeworthy- I can’t stand the sound of my own voice, let alone images of me. It will be bittersweet: the disolving of a (temporary) community. It was the after show party. It was good for once: people, knackered people, hung around and spoke….and spoke about much more than the roles they had acted out. It is always the test of any community: work, task orientated, even church- can they party, can they share food and life outside of the tasks that first drew them together? Someone spoke with me about being in panto ‘It is such a relaxation from your day job to do this’. Mostly I agreed with them: acting a role to a definite conclusion and then being able to walk away from it is lovely. There are few things I do at the moment that can be walked away from or ‘finished’….. and I would love to- particularly on these long, cold January days. Where I would disagree is having a ‘day job’- I don’t. I never stop being ‘Rev’ in anything I do….. some of that is disposition and some ordination. And if that seems restrictive….well I guess anyone who follows Jesus is the same: it ain’t just a day job…or is it? Author GrahamPosted on January 16, 2013 Categories ActingLeave a comment on Your day job…. So, someone in the village said ‘well done’ to me for my role in panto. Actually, walking round this village right now is like being a famous actor during Cannes…… so I am practicing saying ‘Thanks; it was nothing…anyone could have done it’; all the time thinking ‘Yes: result- I am sooo good’ and mentally punching the air. It is not easy being a modest Christian modern day saint (or easy being so deluded & having a Messiah Complex without being on prescription drugs...). I said something like it was easier as I was wearing wacky costumes and wacky make up: I could ‘hide’ and play a role- it wasn’t me. Even at the age of nearly 47, I am still so ignorant and naive about the ‘advantage’ that maleness brings. As a minister, I can never be ‘shrill’, ‘strident’, ‘insecure’ or ‘domineering’- yet many of my female colleagues are accused of being like that even if they behave exactly like me. It’s not fair is it? nb: no animals were hurt during the taking of the above picture. Tonight begins the village panto that I am involved in. Well, technically tonight is a dress rehearsal, but we do have an audience. All this week (and twice on Saturday) we perform. Come Sunday, I will be staggering: physically and mentally exhausted, but also very happy. It’s not that I am particularly very good at it, but I enjoy it. There is something about performing but also performing in a place where you are known, that is just lovely. Where ‘you’, being a part of a village, being a minister, etc etc all intersect. It was/it is hard combining rehearsing with the ‘day job’ (that is anything but); harder still is the deadness borne of not having a go/thinking that what you do involves no space for fun/relaxation/time with friends etc…… and I have mixed with too many Revs like that. So…..the roar of the greaspaint and the smell of the (small) crowd begins! As anyone knows, I am in the village panto. I tend to drop it into most conversations casually and unobtrusively about 18 times in the first 3 minutes. So there I was at a practice, minding my own business (not true: I have been accused of ‘working’ most environments in this village. My defence: I love seeing what is going on in peoples lives), working hard- trying to make my character less cardboard than the scenery. I kept being interrupted: the first by a long running saga from earlier on in the night involving a child at youth group, next by someone else going through something very painful and finally by another character who thought religion was nonsense so wanted to know how I felt ‘called’. Nadine Dorries, maverick Tory MP lost the Tory whip a week or so ago. The given reason why she lost it was because she had accepted a place on ‘I need my ego inflating, get me out of here’ (I think that is the TV programme title) and her maverick nature had tipped over into ‘bringing the role of an MP into dispute’. I thought of that last week, as I stood, semi naked in our village hall sewing room, surrounded by 3 cackling women in their 60s trying on various pantomime costumes (I am the Dame in our village panto that takes place in 2 months); is this my Nadine Dorries moment….. bringing the role of a Minister into disrepute? Then I thought of conversations I had with a couple of people at funerals in the last week or so. They went along the lines of ‘I never go near a church, because of x,y,z’. X,y,z seemed to boil down to religious leaders being pompous (this is a common perception that people have of holy joes), irrelevent, out of touch, not real etc etc. The conversation then moved on to ‘But you used normal language and it was real’. That is not easy to post: I am very uneasy about posting something that seems personally complimentary. I continued thinking: where does this idea come from that ‘clergy’/’ministers’/’vicars’ have to have a dignity and a role that -to paraphrase a hymn- is somehow above, untouched by human pains? I thought of an old mentor, a school chaplain, who used to say to me ‘There is no depth to which I will not stoop to make people think about Jesus’….. and I think somehow that is much more than choosing 2 hymns out of the red book rather than the blue one…. In the last 5 years or so, I have ‘got into’ amateur dramatics. If I had read that 6 years ago, I would have got the heeby jeebies… Yet, after patient encouragement, I had a go. Initially I was more wooden than the scenery but now….. I am slightly less wooden than the scenery. This village has a thriving amateur dramatic society that puts on several productions a year. The biggie is that strange British (English?) tradition, the Pantomime. I auditioned once and didn’t manage to get a part, but since 2010 I have been in every year; this year will be my third. Each time I have auditioned, I have looked at others there and thought ‘No way- too many good people this year’….so far I have not been seen through been fortunate. Each year, I wanted to be the baddie. Kind of reverse psychology I guess; being a minister, I want to connect with my shadow side. I always thought that was the apogee of male amateur dramatic ambition. However, for the last 2 years I have been one of the two incompetant slapstick characters; I was just me, but louder- I don’t think I was really acting…. While rehearsing, I discovered that the apogee was the Pantomime Dame. And this year I am that person. So then; loud hectoring effeminate voice and a stream of double entendres: Bit like a sermon really. I am really looking forward to it: normally I can manage to learn the 40-50 lines I am assigned. This year I think I have triple that, plus singing. The deep missional reason why I do it is because I like it and that’s about it! I suppose there are deeper reasons- I think that a minister who does not join things in the community will struggle to make any impact in that community. Working for the church can pull us into the citadel as there are so many good and worthy things to do. But also, its safer that way.